For many Notaries, there’s a sense of accomplishment when you come to the end of a Notary journal — it represents months or even years of notarizations and experience. It also gives you the opportunity to choose a fresh, new journal design. But the question is: what do you do with your old Notary journal? The first thing you want to do as you near the end of a Notary journal is check your state laws, as rules and requirements regarding old Notary journals vary from state to state. For example, California Notaries who still have their commissions are required to retain old journals in their possession until their commission ends — whether due to resignation, termination, or death. Once their commissions end, California Notaries must surrender all journals to their county clerk. This also includes people who renew their commissions but have their old commission expire for more than 30 days before obtaining reappointment. Arizona specifically requires its Notaries to keep old journals and records in their possession for at least five years, unless they cease to be a Notary within that time frame. At that point, they must send their journals to the Secretary of State via certified mail. In Hawaii, Notaries are required to surrender their journals to the Attorney General’s office at the end of each four-year commission term. If you live in a state that doesn’t have a journal requirement, or if your state lacks laws or rules governing what to do with completed journals, the NNA recommends following the guidelines of The Notary Public Code of Professional Responsibility. The Code advises keeping your official journal of notarial acts in your possession for at least 10 years from the date of the last entry in the journal (VIII-C-2). The reason for such a long period is that claims against you can come years after you have performed a notarization, and your journal can provide very important documentation if you are sued. If this is what we have to do to view, perhaps we should just use a different company. I recently received a phone call from an attorney's paralegal in a large city at the other end of the state. She asked if I still had my journal from 10 years ago. I was happy to tell her I still have ALL my journals safely locked away. She said the borrowers were denying that they had ever obtained a loan and the attorney was seeking to prove loan papers had, in fact, been signed and notarized. I was also very happy to tell them that during the time that journal covered, notaries entered detailed information about the signers, including thumbprints. Oregon no longer lets us put anything in our journal except the type of ID used and its expiration date. I wish they would allow us to put thumbprints and at least the identifying serial number of each ID used. I think it is a horrendous mistake and the law was changed for all the wrong reasons. Anyway, the attorney was happy and the opposing council withdrew and settled about a week before I was supposed to appear in court with my journal. I think the thumbprint and detailed ID information made the difference! What do you do when a notary failed to relinquish his journal(s) after his commission ended? He did not report it as stolen, lost or accidentally destroyed, either. I am dealing with one that will not provide a copy, certified or otherwise, of a line item entry for a signing that took place about 10 yrs ago. I have reason to believe that numerous documents are involved. Fraudulent activity, perhaps? Hi, My commission expired on 02/27/17 and i will not renew it. I am trying to find information on how to send the journal. Do i need to write a "journal surrender letter"? I will send it via certified mail to the county clerk, but I'm not sure if i should just mail the journal on its own or add a note to it. Thanks for the feedback! Hi Fernanda. So that we can answer your question, can you please tell us what state you are commissioned in? Same situation as Fernanda. I live in Glendale CA. Where can I send my journal and what about the seal? Hello. If you are permanently resigning your commission, you would need to turn in your journal to the county clerk's office where your oath of office is filed. You would then need to make your old seal unusable (for example, by cutting the rubber seal impression so it can't be used by someone else) before disposing of it. When making a seal unusable, please take appropriate safety measures when using tools or sharp objects to avoid accidental injury. Where do I turn in my notary documents if my license expired? Hi Blanca. What state are you commissioned in? What are the penalties for not returning a journal after the commission expires? Thanks. Hello. So we can answer your question, can you tell us what state you are commissioned in? Could you please let me know where I need to return my Journal book? I live in Southern California right now. Hello. If you have permanently resigned your CA Notary commission, you need to turn in your journal within 30 days of resigning to the county clerk's office where your Notary oath of office is filed. My notary was provided by my employer (municipality in Utah) and lapsed approximately ten years ago. I still have my log and the last entry was 10/19/2007. How long must this log be retained and should it be retained by me or retained in the office where I worked? Hello. Utah permits the Notary to decide how long they should keep their journal after they are no longer a Notary. The state recommends keeping the journal for a sufficient amount of time (the state suggests 10 years) to be able to use as evidence if a notarization is called into question. For a California notary, my commission is ending next year but I am renewing my commission this year. Do I need to turn in my journal for the commission that is ending next year? Hello. As a CA Notary, you only have to turn in your journal records if your commission ends and you do not renew your commission within 30 days after the expiration date. 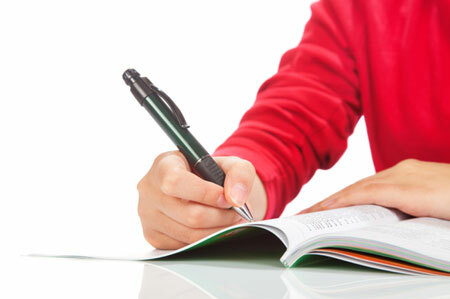 If you are renewing your commission early, you can continue to use your existing journal. Hello. My commission expired years ago but my journal had been misplaced. I live in California. Is there penalty for not turning it in right away? Hello. If you have lost your journal, immediately notify the Secretary of State by certified or registered mail. The notification shall include the period of the journal entries, your Notary Public commission number, and the expiration date of your commission. (GC 8206[b]). Hello, I was cleaning out and old file cabinet and I came across my old notary journal. My commission expired in 2009 and I just forgot to turn it in. What should I do with it? Is it too late to turn it in? Is there a penalty for not turning it in? Also, with my current occupation being a notary public would be an asset. Would not turning in my old journal disqualify me from becoming a notary again? I'm in California. Thank you! Hello. California rules state that a Notary who resigns his or her commission is supposed to turn in the journal within 30 days after the commission ends. (GC 8209) If you found a journal that you forgot to turn in, you may wish to contact either the Secretary of State's office or the county clerk's office where your oath was filed and request instructions. I need to find a couple of notaries in regards to some Questions regarding docs ..where do I go to find them ?And if I asked him for a specific date that supposed to show me the signature line in the book right & what the document was correct ? Hello Michael. To help us answer your question can you please tell us what state the Notaries are commissioned in? My Notary commission expired years ago and I did turn it in to the County Clerk. Will this disqualify me from becoming a notary again? Hello. Unless your previous commission was suspended or revoked due to misconduct or negligence, as long as you meet all of your state's qualifications you should be able to apply for a new Notary commission. I live in Dallas, Texas. My commission expired 4 years ago. I'm not going to renew it. What to do with my old notary journal? Hello. The journal should be turned in to the county clerk's office of the county in which you reside (GC 406.022).